A ten-year research and restoration project to save one of the Fitzwilliam Museum’s Renaissance masterpieces was rewarded with a major national accolade this week. We have researched and unravelled the entire history of the painting. The conservation work on Sebastiano de Piombo's (1485–1547) 'Adoration of the Shepherds' c.1510, one of the founding Renaissance works in the Fitzwilliam’s collections, won the restoration and conservation award at the 2017 Museum and Heritage Awards in London on Wednesday evening. The meticulous project was undertaken by the Fitzwilliam’s painting conservation department, the Hamilton Kerr Institute, and enabled the masterpiece to go on show at the museum for the first time in 70 years. The project was completed in the 40th anniversary year of the Hamilton Kerr Institute in time to return to the galleries in 2016 - in celebration of the Museum’s 200th birthday. 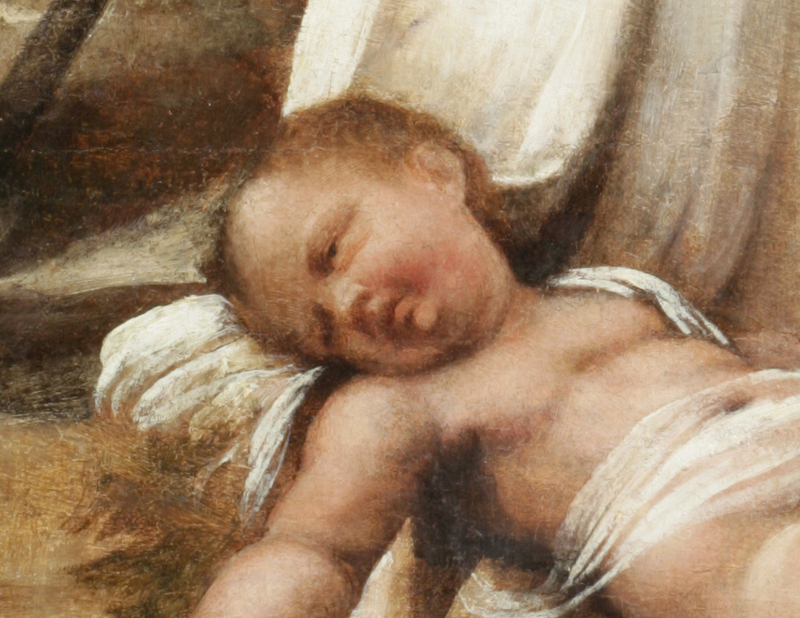 The physical history of Sebastiano del Piombo’s Adoration of the Shepherds is remarkable and explains why the research and conservation project at the Hamilton Kerr Institute took so many years to complete. The picture was originally painted on a wooden panel, but while owned by the Duc de Orléans in 18th century Paris, the paint layers were removed and transferred onto canvas in a misguided attempt to preserve it. 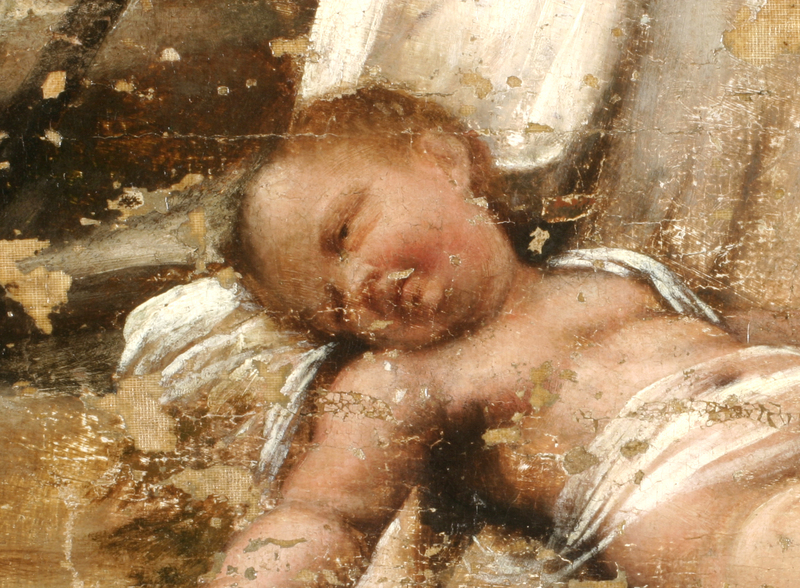 This caused widespread damage to the original paint and the composition was almost completely overpainted in subsequent attempts at restoration. However, critical areas of the original paint remained intact and it was decided to remove all the old overpainting and bring the composition back to life by judicious and specialised restoration of the losses. In order to understand the artist’s technique, a microscopic particle of paint, smaller than the head of a pin, was taken from the Virgin’s blue robe and analysed under a microscope during research. 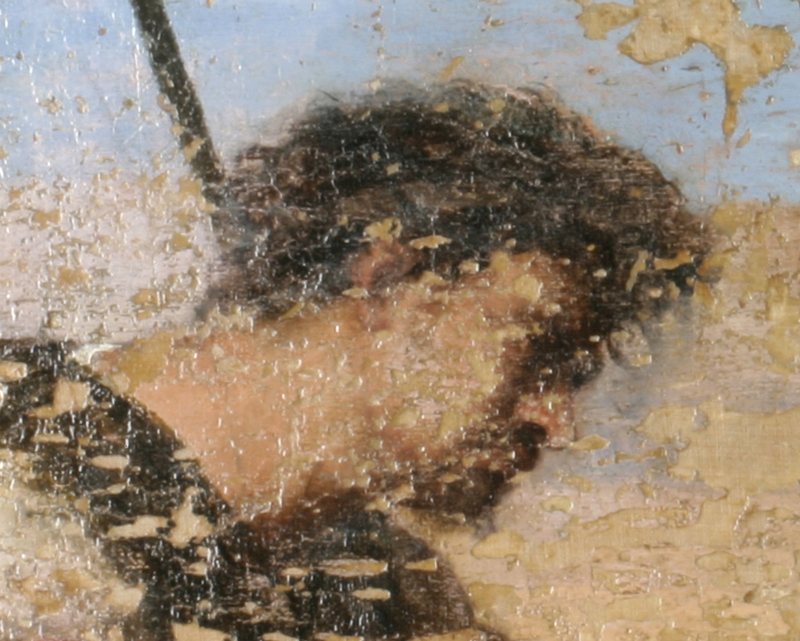 Examination of the paint cross-section demonstrated Sebastiano’s sophisticated system of layering with an application of pink paint beneath the blue, as well as his use of superior and expensive pigments, such as ultramarine blue. This and other forms of state-of-the-art analysis greatly helped to reconstruct the missing areas. 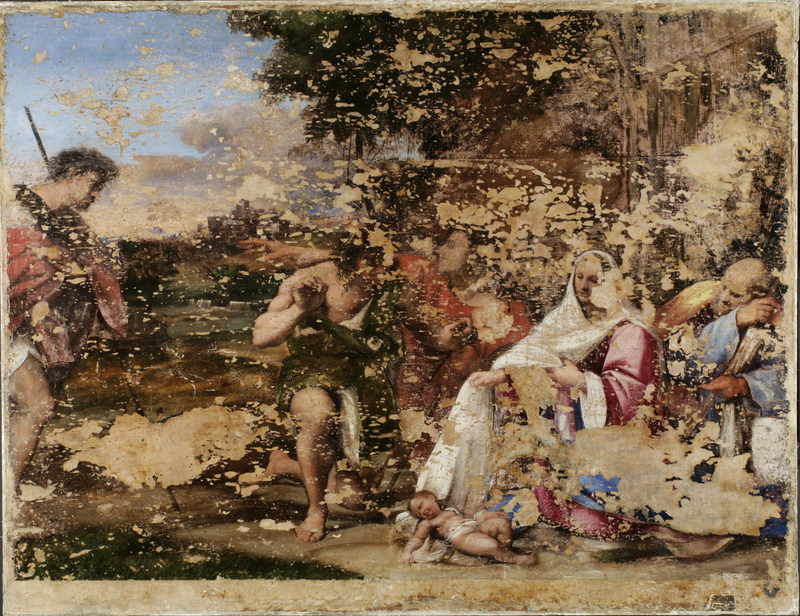 Close study of an early full-size copy of Sebastiano’s original painting from The Louvre, Paris, made sometime in the late 16th or early 17th century – before Sebastiano’s painting was transferred from wood to canvas – was important in reconstructing areas of significant paint loss. Sebastiano del Piombo spent his early years in Venice where he learnt the art of painting under Giovanni Bellini (c.1431-1516) and then Giorgione (1477-1510). At the invitation of the prominent patron and Sienese banker Agostino Chigi (1466-1520), Sebastiano moved to Rome in 1511, just as Michelangelo (1475-1564) unveiled the first part of his decoration of the Sistine Chapel ceiling. Michelangelo and Sebastiano developed a close friendship, sharing drawings, ideas and designs. The Adoration of the Shepherds was painted soon after Sebastiano moved to Rome, and demonstrates the influence of Giorgione’s The Adoration of the Shepherds (National Gallery of Art, Washington) in its overall composition and Venetian colouring, but with a sense of Roman form gained from Michelangelo. The picture was considered to be by Giorgione when the founder of the Fitzwilliam, Lord Fitzwilliam, bought it after the French Revolution in 1800 at the sale in London of the Duc de Orléans’ collection. 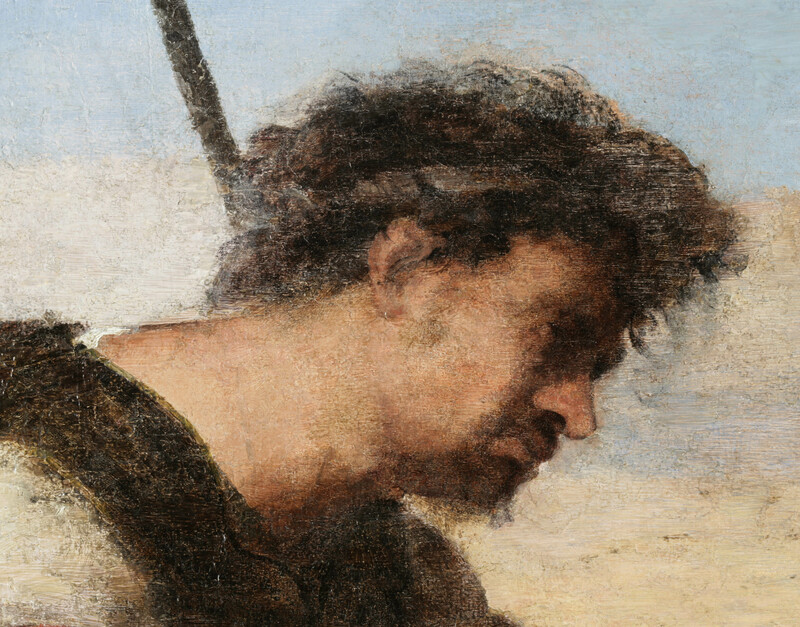 In 1913, it was attributed to Sebastiano on the basis of the fusion of elements characteristic of the Roman school – such as the monumental figures – and others more closely associated with Venetian painting, notably the rich colours and lyrical landscape background. The Hamilton Kerr Institute is one of the world’s leading centres for teaching and research into the conservation of easel paintings and historical painting techniques and materials. As a department of the Fitzwilliam Museum, the Institute has undertaken the conservation of paintings in its collections since its foundation forty years ago, and it also takes on conservation projects for other clients such as the Royal Collection and the National Trust. The riverside property was given to the University of Cambridge for the Fitzwilliam Museum by the late Sir Hamilton Kerr (1903-74), previously the MP for Cambridge. 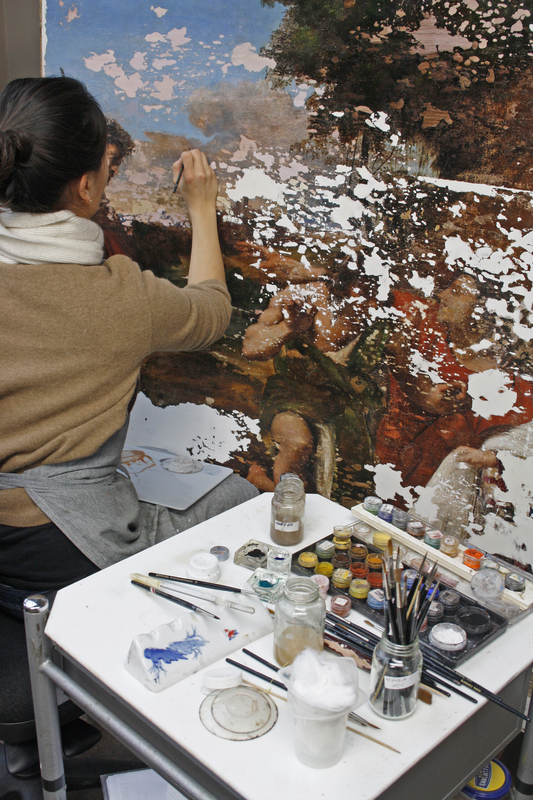 The conservation of the painting has been partly funded by the Fitzwilliam Museum’s Marlay Group. 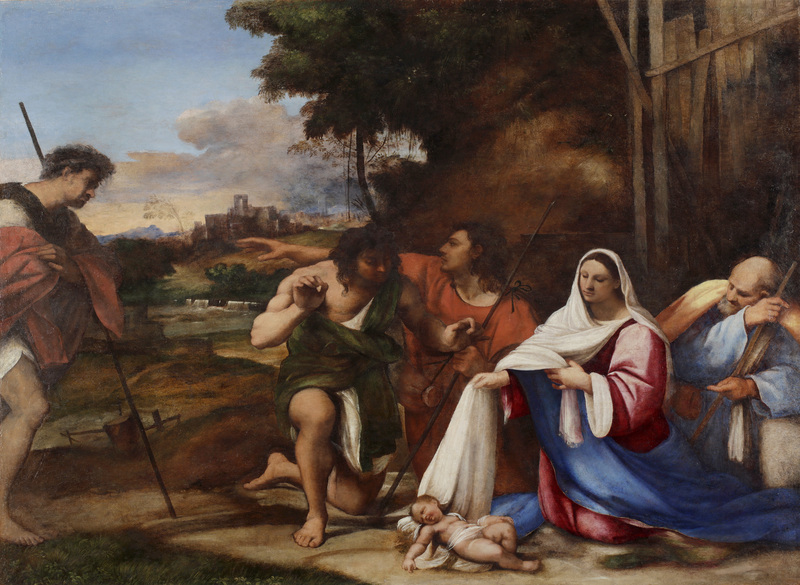 Sebastiano del Piombo’s Adoration of the Shepherds can now be seen in the Fitzwilliam’s Italian Gallery (7). A film about the restoration is available to view on YouTube.